Ava Welcome is a simple setup of Ava tailor-made for worship centers. 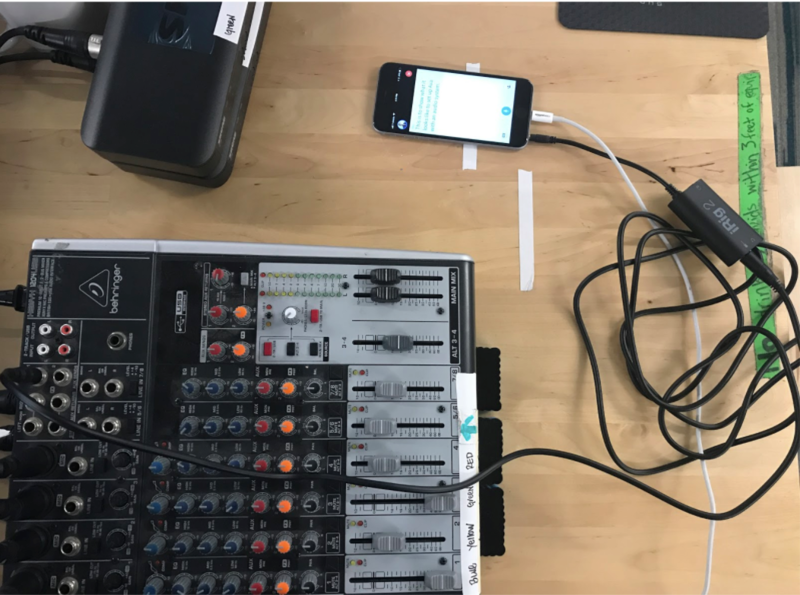 This is done by connecting Ava on a smart device directly to the existing sound system at your worship center. The end result is that deaf and hard-of-hearing people can come to worship at any time, open the Ava app, and receive the captions of the speaker’s words with very high accuracy. 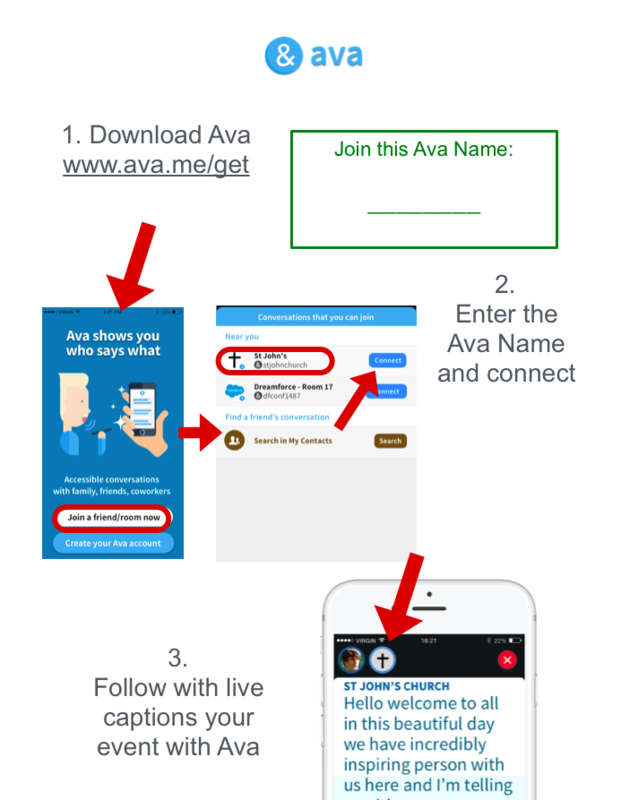 Complete this form to receive a link to download Ava with the Welcome setup. Tap on Caption with Ava account, and set it up with a phone number (personal number is OK as it's for one-time verification code). Tap the microphone icon to activate and deactivate the captions. Plug one end of the TRS cable into a direct out on the sound board. If you don't have one, look for the XLR, and plug the XLR cable. Plug the other extremity of the cable into the iRig where there is a guitar symbol. Switch the iRig to "thru", turn the "gain" all the way up. Plug the iRig end to the smart device headphone jack. Turn on the sound board power and make sure the microphone signal is feeding to the direct out. Turn on the microphone the speaker will use. 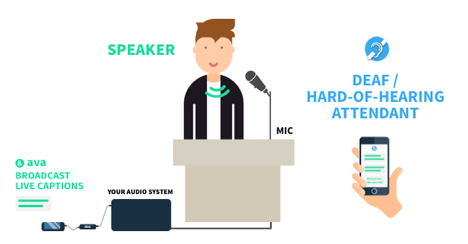 Test the host device by opening the app, tap to start captioning, and begin speaking into the microphone the speaker will use. Check to make sure that what you say is being captioned by the app. Utilize the Tap Edit/Delete feature to help improve accuracy at a faster rate. This can be done on the personal device of any hearing person who is connected to the host device. Tip: Set the host device to never Auto Lock in the device settings so that it doesn't switch off. If your Host Device has Ava on, they will connect to it and will see the captions appear on their screen too. Tip: This video provides some ideas on how you can communicate Ava to your attendees. Here are some suggested paragraphs to talk about Ava. Here is a folder with some logo files for Ava that you can use. Share this guide with the worship center staff and ask them to review it. Direct them to our Worship Center web page. Collect the worship center name, email address and/or phone number. Complete the accessibility request so we can make the worship center staff aware that a community member would like to have Ava available. We'll let you know when we have contacted the worship center and try to have Ava set up.